Examples of installed Hospitality Projects for Holiday Inn Express, IHG, Hyatt Place and Doubletree Suites. 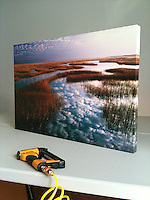 Need art for your next hotel project? Got a question? Email John at Selection of France photos. Nice, Carcassonne, Biarritz, Toulon, Antibes, Fort Carre, Grapes, Vineyards, Iles d'Hyeres, Ile de Porquerolles, Riviera, South of France, Boats, Architecture, Cobblestone, Windows, Allyways, Lighthouse.